However, last year, we added a lovely wreath to our dinner table and I do have a new favorite set of Advent Candles for that Advent Wreath. 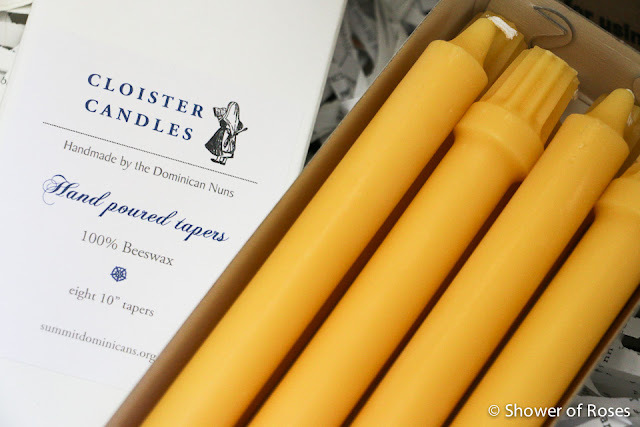 The 100% Beeswax Hand poured tapers we purchased from The Cloister Shoppe burned beautifully! 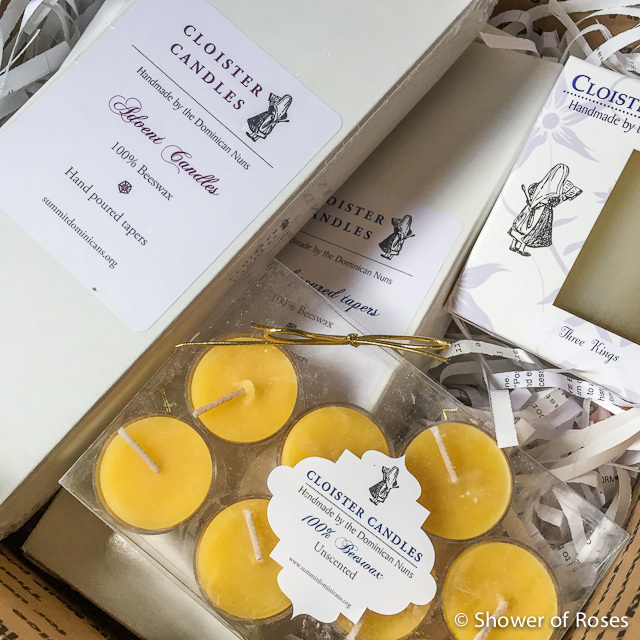 Last month, as soon as they were available again, I placed my order for this year, adding in some additional candles to save for Candlemas or to give as gifts. 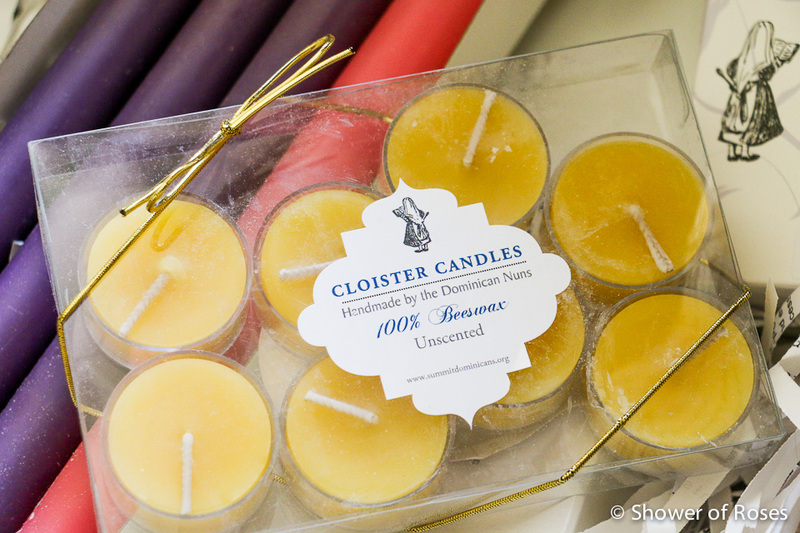 Last year my children also really enjoyed creating their own candles using this 100% Beeswax Advent Candle Kit. I have another kit, blessed last Candlemas, all ready to go for this year. 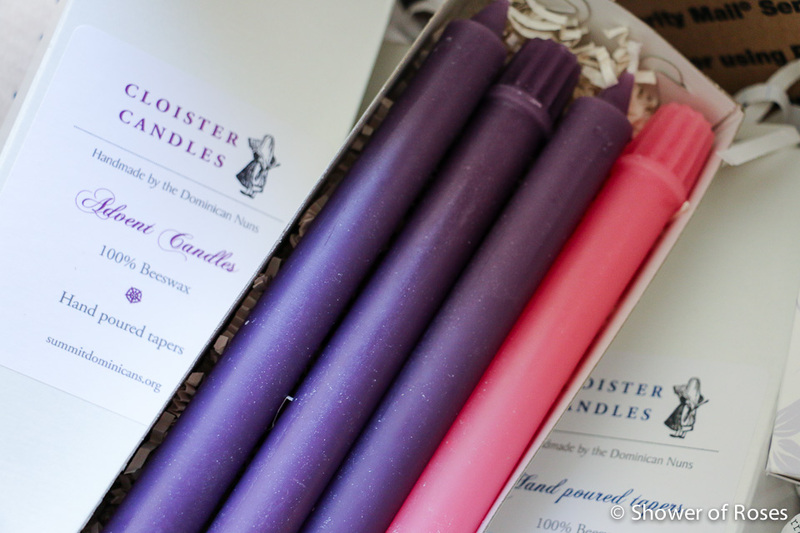 The dear sisters only make a limited quantity of their Advent Candles. They sold out quickly last year. Be sure to order them soon if you are interested!